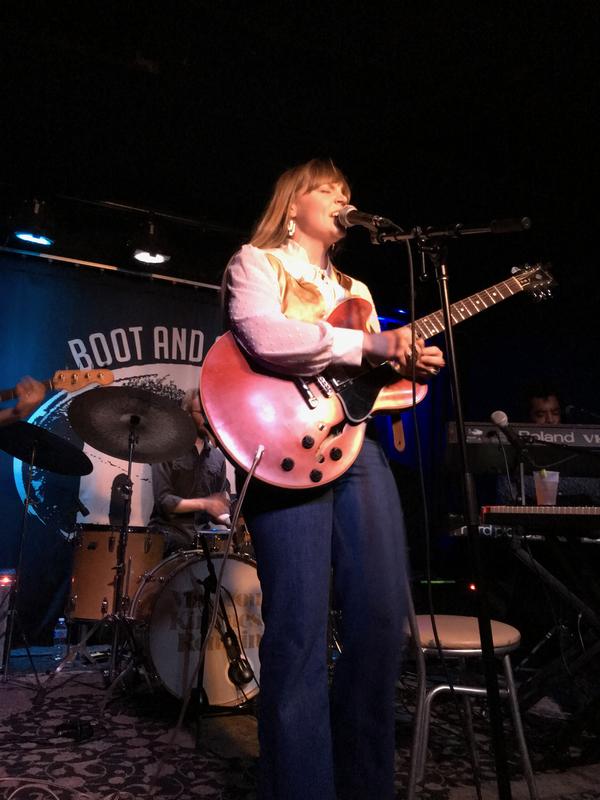 This morning, during a rather hellacious commute, I whiled away the time listening to Courtney Marie Andrews’ May Your Kindness Remain, which is an early contender for my esteemed Album of the Year honors, and then listened to it again. I listened to it on the way home yesterday, and the day before that, and almost every day since its release. I told Diane as we were leaving her Boot & Saddle show last month that it’s likely the last time she’ll play there. The next time she’s in Philly (XPoNential Festival aside), she’ll be headlining the World Cafe Live’s downstairs room, which holds 300 to 600 (depending on whether tables are present; let’s hope for tables, as us old folks can only go so long on our feet), and instead of 100 fans in the room, it’ll be sold out. (Of course, I predicted that after we learned from Dillon Warnek that they were slated to appear on NPR’s World Cafe radio show two days later.) I hope I’m right. Anyway, one of the thoughts that crossed my mind this morning: Songs that Courtney could and should cover – and not just any songs. Timeless songs, like hers. And with that, here’s today’s Top 5: Timeless Songs. 1) Iris DeMent – “Livin’ in the Wasteland of the Free.” This is one of Iris’ most passionate and political songs, and even now – 20-plus years later – it resonates because, truth be told, not much has changed in the intervening years. And twang accent aside, it’s a perfect fit for Courtney. 2) Merle Haggard – “If We Make It Through December.” One of the greatest songs about hard times ever written or performed. 3) Kris Kristofferson – “Help Me Make It Through the Night.” Another stone-cold classic, though one that’s been covered many, many times by many artists through the years. 4) Steve Earle – “Someday.” Another gem about working-class realities, and dreams of escape. (From Steve’s essential Guitar Town album.) Courtney would kill it. 6) Nanci Griffith – “If Wishes Were Changes.” What can be said about this gem? In short, to use one of my many overused words, it’s wondrous. I interviewed Merle Haggard (1937-2016) for TV GUIDE’s Music Guide in the early 2000s. I backed up the main writer, who was on vacation that week, so the Q&A was something that, quite literally, came my way by chance – and from Haggard’s willingness to yak on the phone for 20-or-so minutes knowing that, at most, only one quote would make it into print. (We were great at paraphrasing.) He was gracious and funny, and offered good insights into his music. Anyway, much will be written about his legacy by folks far more knowledgable than I. That said, “If We Make It Through December,” which spent four weeks atop the country singles chart in December 1973 and January 1974, is a stone-cold classic – one of the greatest songs ever written about living through tough economic times, I think.